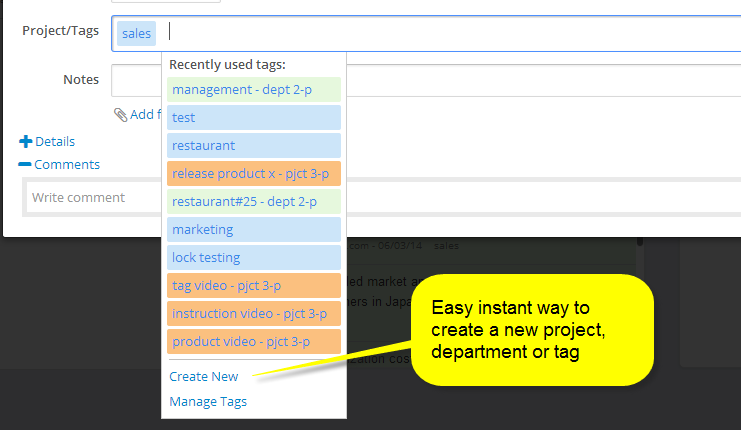 The easiest way to create and manage your projects, departments and tags is in the left navigation menu. The dialog to manage and create new projects, departments and tags looks as follows. !Projects and departments always have members. If you do not add a member it will automatically change to a regular tag. You can always change a tag to a project or department. 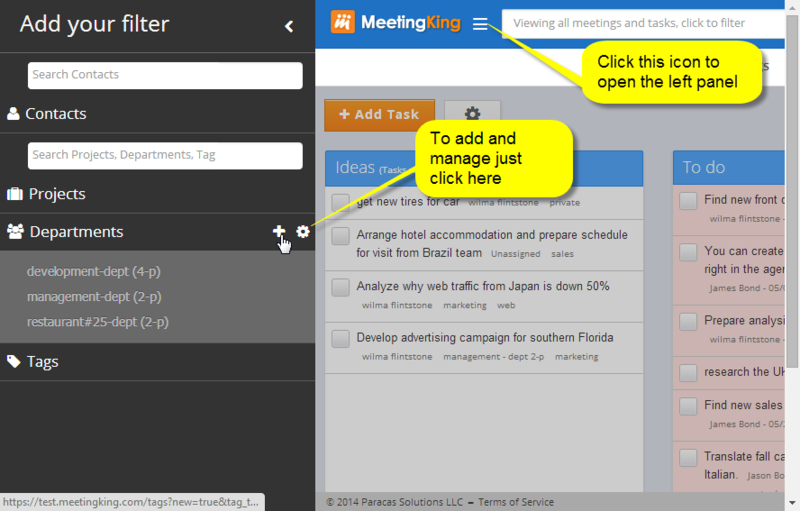 You can also create a new project, department or tag directly from tasks, meetings and topics.